I love personalized gifts and personalized ornaments for our Christmas tree. And even better, if you're looking for a sweet gift for grandparents, why not do a photo ornament? 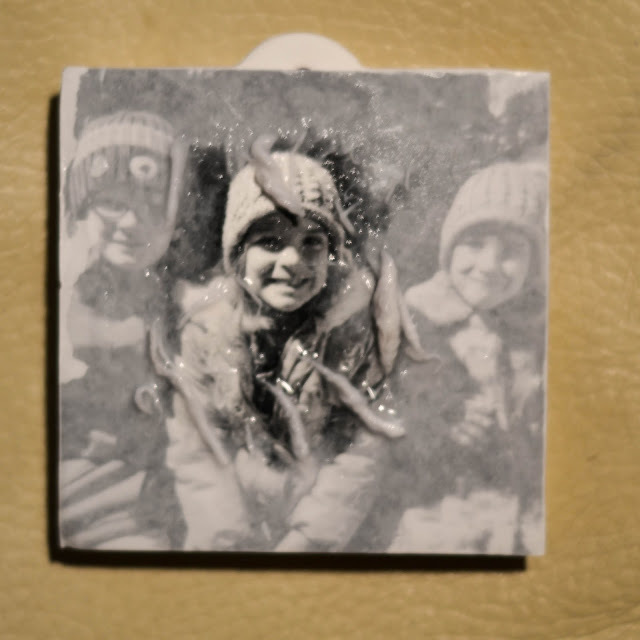 A couple of years ago, I used photo transfer medium to make ceramic photo transfer ornaments. 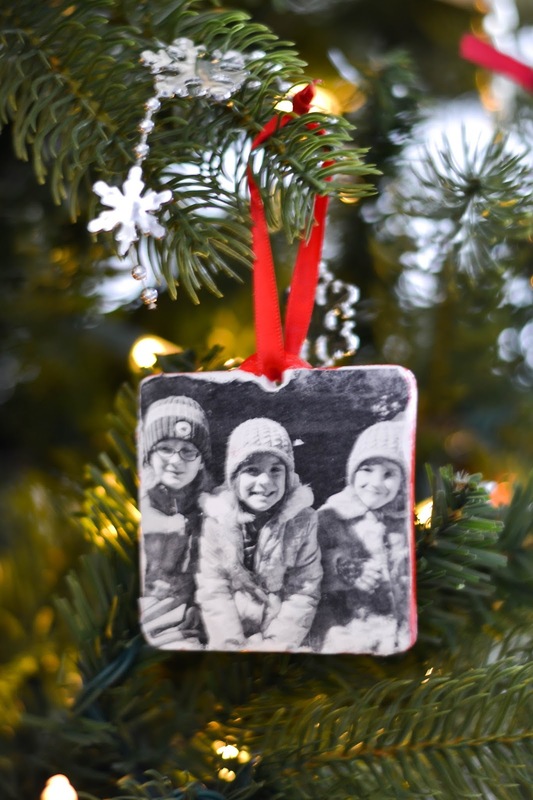 They are so cute, if I do say so myself, but because the photo transfer medium is white, and the photographs were black and white, the ornament was a little old timey and a little washed out. 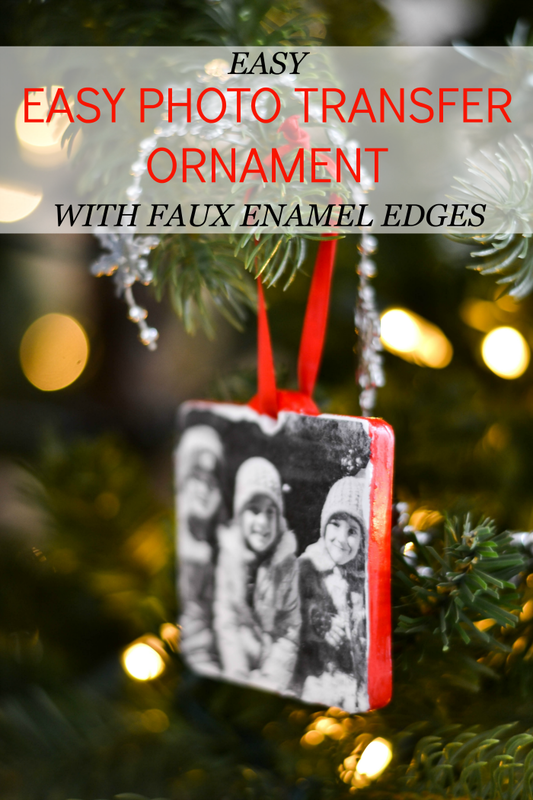 This year, I wanted to make an ornament that had a little "pop" of color - so I came up with photo transfer ornaments with a faux-enamel paint edge and back. The process is very simple, but there is some dry time to incorporate. Don't worry - you still have time to make one before Christmas! Cut out the copy of the photograph to match the size and shape of the ornament. Keep in mind the print/copy should be made with a dry toner printer/copier - not a inkjet. Paint the photo side of the print with a coating of the photo transfer medium. The coat of photo transfer medium should be thick enough to completely obscure the photo. Place face down on the ornament and carefully press out any bubbles. Allow to dry overnight. Using a very wet sponge, dampen the whole paper surface and then gently rub to remove all the paper fibers. Your photo will be transferred onto the surface of the ornament. 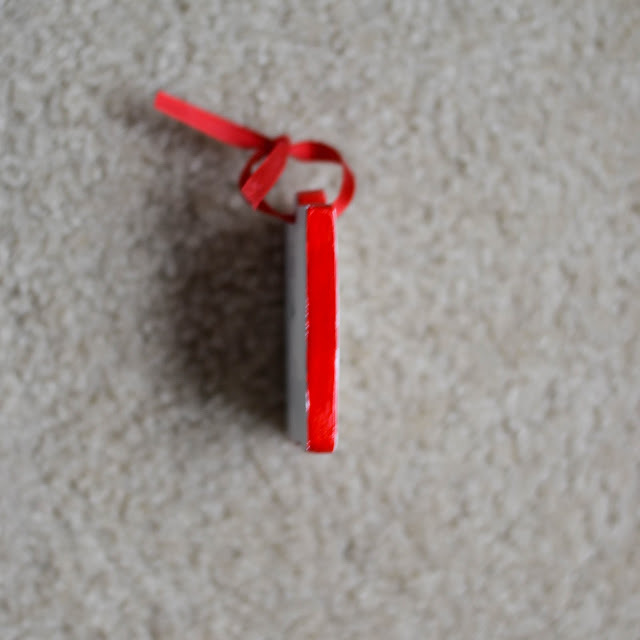 Paint the edges and back of the ornament with the high gloss paint. You may need to do two coats of paint to get full coverage. Allow to dry.